Backpacks and other large bags won't be allowed through the gates of high school football games in Southwest Florida. The Lee and Collier County School Districts made security changes after a deadly shooting at a high school football game in Jacksonville last week. Coolers and drawstring bags are also banned, and bags carrying medicine will be searched. Some parents say it’s a great thing. "It's just an ongoing event with all the shootings. Any measures they can take to prevent that inside the schools or at sporting events,” said Gulf Coast High School parent, Jason Melton. “I think its great." However, some other parents say it's an inconvenience. "Especially on Fridays when kids stay after school to participate in band practice or the ROTC tailgate,” said Gulf Coast High School parent,Sabrina Beauvais. “And then they go straight to the football games. What are they supposed to do with their book bags? "she continued. 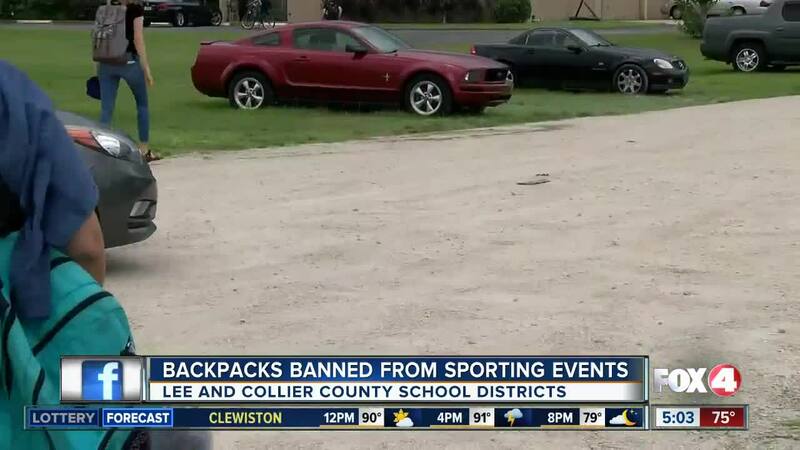 Lee County School District spokesperson, Rob Spicker says schools are is working to find a solution for kids staying after school, and places for students to store their bags during the game. School districts are also beefing up security at the games. Student resource officers already provide security at the games in Lee County, according to Spiker. School administrators will be at the events as well to see if any more security is needed, and are working with law enforcement to come up with additional security options. Collier County school administrators say they plan to add more officers to all high school football games to keep kids safe. "We’re working with our law enforcement partners, you look at what are the best options. 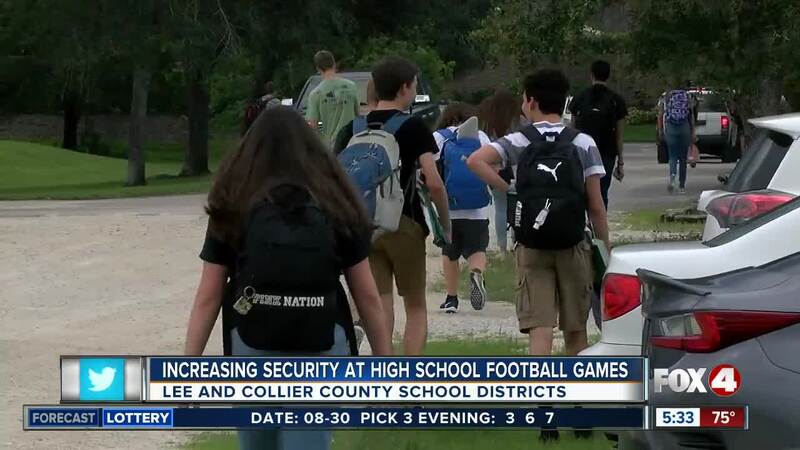 This was considered to be one the prudent things to do as a next level of security," said Greg Turchetta, Collier County School District spokesperson. As for Charlotte County School District, spokesperson Mike Riley says the district is putting a new plan together but nothing is finalized yet.